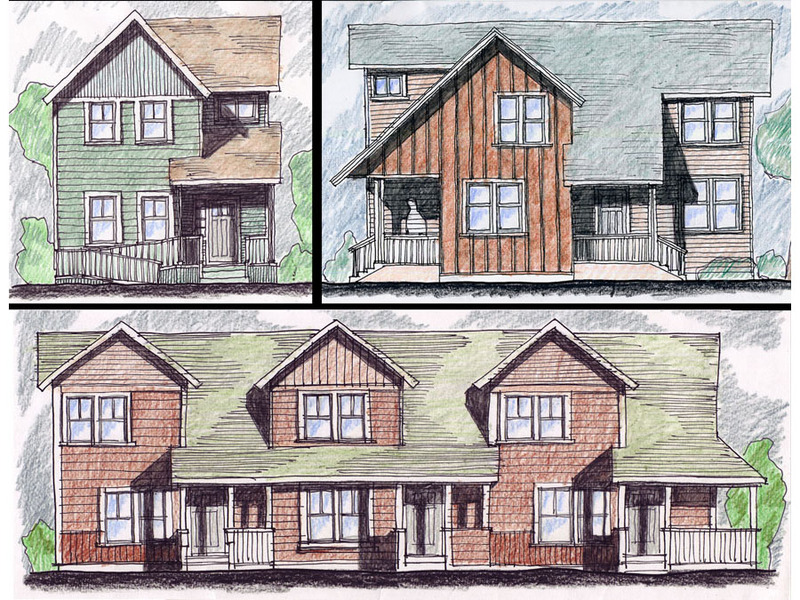 This funding proposal for re-building a severely distressed public housing development provided an opportunity for residents to envision their future community. 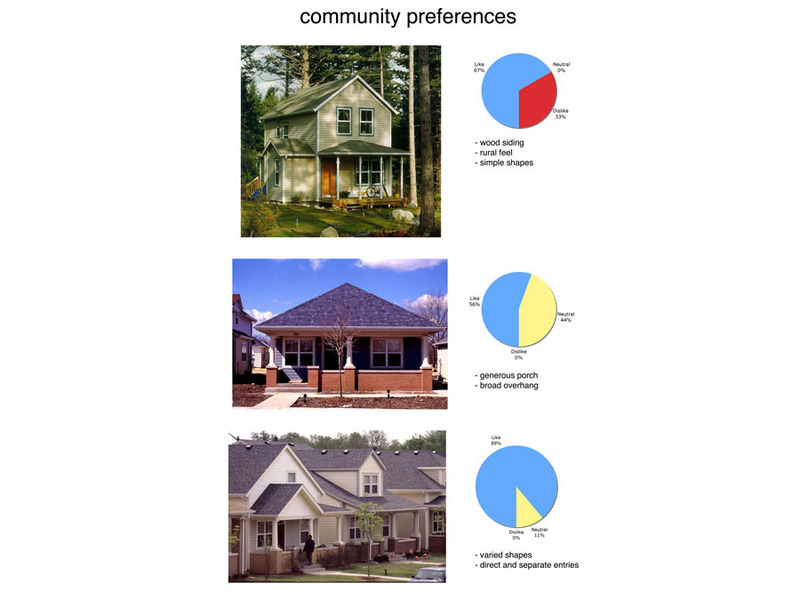 We analyzed the surrounding architecture and community resources, and led a series of workshops to identify the needs and design preferences of the participants. 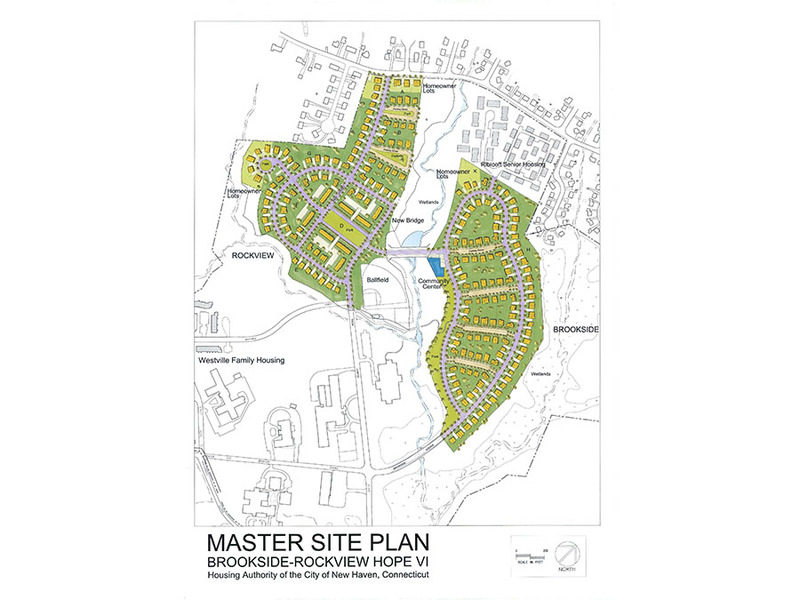 Our master plan and housing prototypes propose a dense but informal feeling community, highlighting precious natural features such as woods, wetlands and open space.